The League of Women Voters is growing, changing, diversifying, joining other newer organizations to be active around local and national topics. This month the public can get acquainted with the League of Women Voters, its roots in the women’s suffrage movement, and its current engagement with today’s issues. 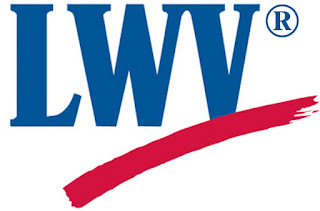 Persons considering joining the League should attend the Snohomish County League of Women Voters Planning Retreat on August 18, 10am – 3pm at Edmonds Unitarian Universalist Congregation, 8109 224th St SW in Edmonds. Guest presenter will be Duncan Clauson, a voter outreach specialist from the County Elections Office. The League last year was instrumental in helping high school students in southern Snohomish County register over 500 students to vote. It has also engaged with issues of homeless families, provided election observers, and held forums to promote civil discourse, get acquainted with candidates, and go deeper on all sides of many issues. The core goals of the League are to Empower Voters and Defend Democracy. The vision is of a democracy where every person has the desire, the right, the knowledge and the confidence to participate. The League is non-partisan, but does study issues, take positions and educate once they reach a conclusion on what is appropriate. For more information or to register for this event, contact President Karen Madsen.